Founded by Shubael Cottle. Makers of sterling and gold vantiy and novelty items. Born 1682 and death 1736. 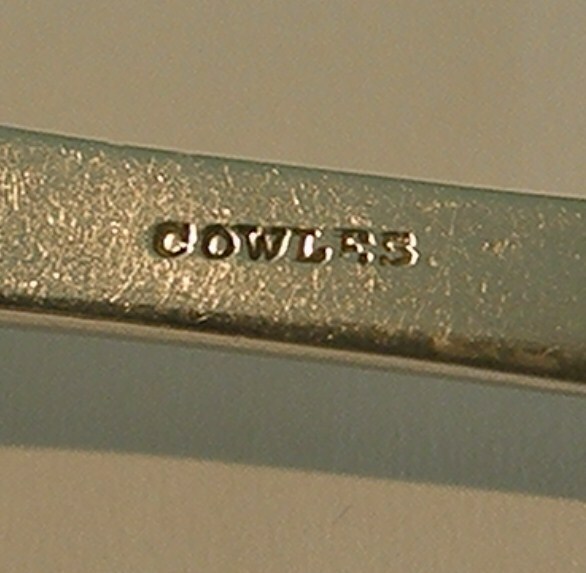 A partnership between Royal Cowles and Joseph Albertson, with Cowles being the silversmith. A partnership between Royal Cowles and Homer Goodwin. Was in the partnerships of Cowles & Albertson 1849-1853; R. Cowles & Co. 1857-1871; and Cowles & Ransom with George F. Ransom c. 1874-1875. In Jan., 1879, Cowles disappeared, and it was thought he had committed suicide. He was found eleven months later living in a hospital in St. Clairsville, OH, suffering from total amnesia. After this he continued to work for other jewelers, first in Cleveland and later New York City, until shortly before his death in 1897. Was in the partnershps of James & John Cox 1817-1852 and John Cox. & Co. c. 1854-1856. Partnered with Prince H. Jones in the firm of Benj. F. Crane & Co. 1859-1861. Purchased by Boardman in 1942. 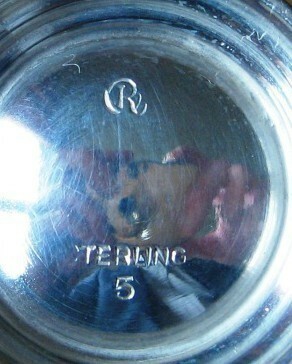 Makers of sterling holloware. The firm was established in London as Crichton Bros. c. 1890, operating a branch in New York 1912-1936 and had a Chicago branch which opened in 1916. Silversmiths and antique silver dealers. Samuel T. Crosby and Seth E. Brown. Samuel T. Crosby and Charles M. Foss. Samuel T. Crosby and Henry Dutton Morse. Successor to Crosby, Hunnewell & Morse; succeeded by Crosby, Morse & Foss. A partnership between Samuel Trevitt Crosby, Francis Hunnewell and Henry Dutton Morse. Samuel Trevitt Crosby, Henry Dutton Morse and Charles M. Foss. Brackett & Crosby with Jeffrey R. Brackett 1848-1849. Brackett, Crosby & Brown with Jeffery R. Brackett and Seth E. Brown 1849-1850. Crosby & Brown with Seth E. Brown 1851-1852. S.T. 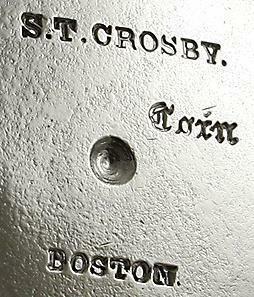 Crosby & Co. with Francis Hunnewell in 1859. Crosby, Hunnewell & Morse with Francis Hunnewell and Henry D. Morse 1860-1863. Crosby & Morse with Henry D. Morse 1864-1869. Crosby, Morse & Foss with Henry D. Morse and Charles M. Foss 1869-1875. Crosby & Foss with Charles M. Foss 1876-1885. John Crowley and John C. Farr. Acquired Hasselbring Silver Co., Revere Silver Co., and Wolfenden Silver Co. Acquired the flatware dies of Amston Silver Co. Makers of sterling and silverplate flatware and holloware. 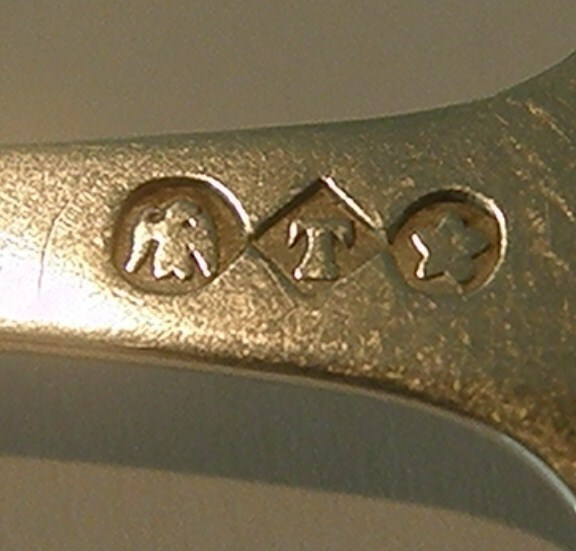 Manufacturing jeweler, also made souvenir spoons. In the partnership of Ives & Curran 1842-1847 and 1850-1854. Edmund M. Currier and George B. Foster. Currier & Roby was founded in New York City in 1900 by Ernest M. Currier and Harry E. Roby. After both found death, the company still managed to continue business and absorbed George A. Henckel & Co around the 1940s. Became a division of Elgin Silversmiths. 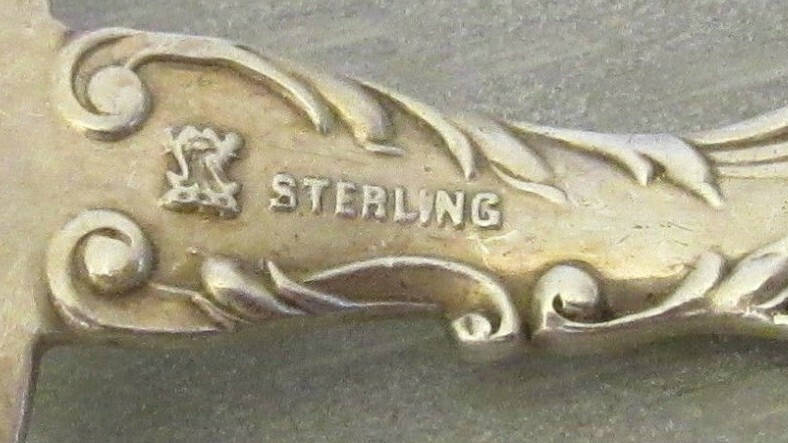 Makers of sterling holloware and flatware, specializing in antique reproductions. Richard Currier and Peter Trott. 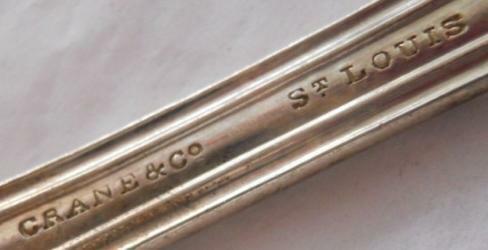 Succeeded by Currier, Trott & Co.
Was in the partnership of Currier & Foster with George B. Foster 1837-1840. John Curry and Stephen L. Preston. In the firm of Curry & Preston 1825-1831. Brothers Frederick Curtis and Joseph S.Curtis. Reorganized in 1854 as the Curtisville Mfg. Co.
HH Curtis & Co was founded in the year 1883 in North Attleborough, Massachusetts. It manufactures sterling flatware, hollow-ware and souvenir spoons. In the partnership of L. & F. Curtis 1808-1815. Master silversmith at Colonial Williamsburg. Retired at year 2000. Was in the partnership of Lewis & F. Curtis (later called L. & F. Curtis) with Frederick Curtis 1808-1815. Worked as L. Curtis & Co. c. 1820. Daniel Curtiss and Benjamin Stiles. Amos Cutler & Eben Cutler. Was in the partnership of A. & E. Cutler 1839-1842. Silversmith, watchmaker, and jeweler. Was in the partnership of A. & E. Cutler 1839-1842.